Henri IV, as the "Gallic Hercules"
This picture of Two Women Bathing is reputed to be Gabrielle (on the right) and one of her sisters. 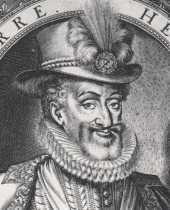 Philip II (b. May 21, 1527, d. Sept. 13, 1598), is king of Spain and rules a vast domain that includes Spain, its possessions in America and Italy, the Low Countries, and Portugal. Philip rules his vast lands from Madrid (and the great monastery-palace that he has constructed at the Escorial) with hard work, attention to detail and a suspicious eye. At almost 70 years old, he is still a formidable figure. 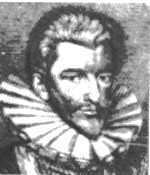 Revolt broke out in the Low Countries in 1566, and Philip--who is a devout Roman Catholic --became embroiled in a struggle that lasted until 1648. English and French efforts on behalf of the Dutch rebels led Philip to attempt an invasion of England in 1588. The disastrous results were the now infamous Rout of the Spanish Armada by Drake. Since then he has engaged in a series of costly and inconclusive adventures in France. The expense of these efforts and of the struggle with the Turks was more than even the enormous resources of his empire could bear, precipitating the economic decline that left Spain prostrate in the next century. Although his forces defeated the Turks at Lepanto in 1571 and recently have been regaining the southern part of the Netherlands, Philip's life has been one of near-constant war. Philip's private life was a difficult as his public one. Maria of Portugal, his first wife, died in1545 after only 2 years of marriage. Her son was Don Carlos, who was so dangerous and violent that Phillip was forced to imprison him. 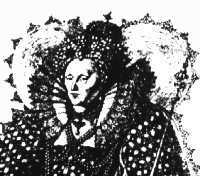 From 1554-1558 he was married to Mary I of England, in an unhappy marriage that produce no children. 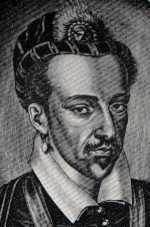 In 1568, when Don Carlos and Philip's third wife, Elizabeth of Valois (sister of Henri III, with whom he had two daughters, the eldest of which he proposed as heir to the crown of France after the death of Henri III), died within a few months of each other, Philip was accused of murdering both of them. 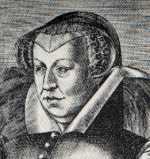 Philip married Anne of Austria in 1570; they have had four sons, three of whom died in childhood.